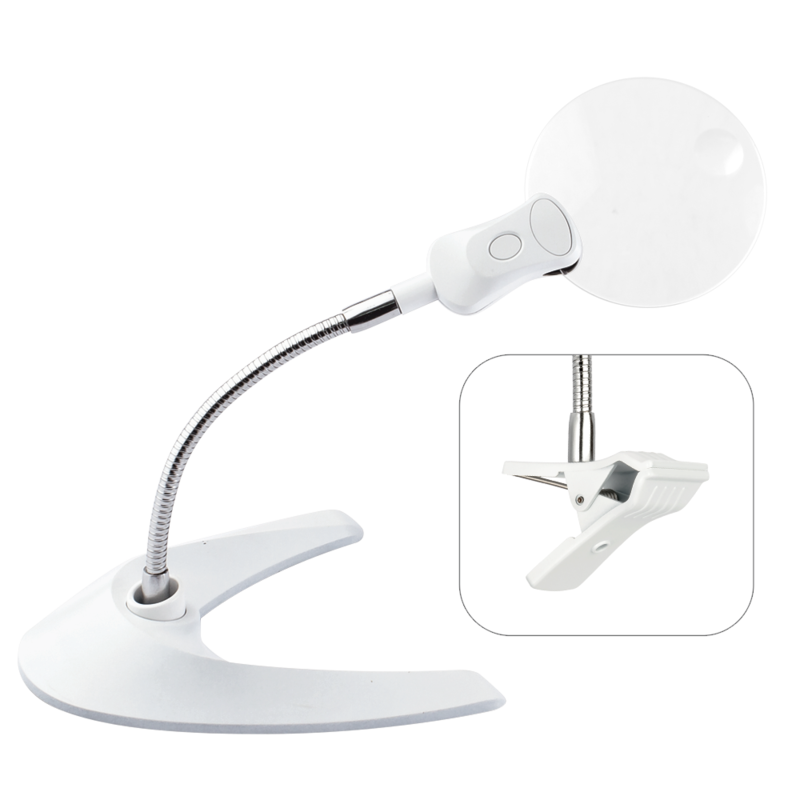 View fine details clearly and easily with the 3.5-Inch LED Magnifier Light with Clip and Stand. Easily position the illuminated optical-grade magnifier using the flexible arm to make seeing intricate projects virtually effortless. 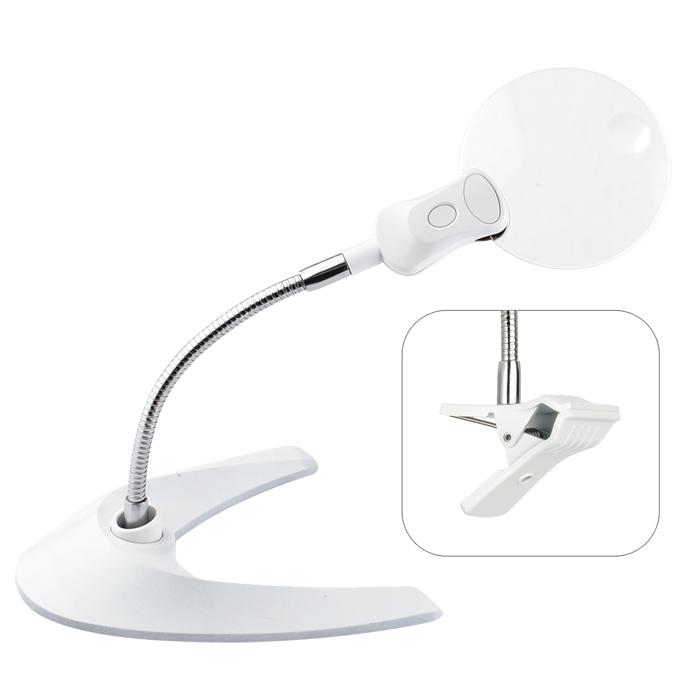 The sturdy clip attaches to most work surfaces, or switch to the weighted stand for table-top use.